Iconic singer Cyndi Lauper returns to Australia to celebrate the 30th Anniversary of her groundbreaking album with a nationwide tour of Australia. During the tour, which will commence on August 29 in Melbourne, Cyndi Lauper will perform the record-setting album She’s So Unusual in its entirety. Recorded and released in 1983, She’s So Unusual, Lauper’s debut solo album, is a colorful portrait of a unique and multifaceted talent. The album features some of Lauper’s most well-known songs and perennial radio favorites including “Girls Just Want to Have Fun,” “Time After Time,” “She Bop,” “Money Changes Everything,” and “All Through the Night.” She’s So Unusual made Lauper a household name and also cemented her place in musical history as the first female artist to have four top 10 singles on a debut album. The release went on to sell over 16 million copies worldwide and won Lauper a Grammy Award for Best New Artist. For thirty years, Cyndi Lauper has been dazzling—and surprising—her fans all over the world. A multi-talented artist and one of music’s most beloved icons, she has racked up global record sales of over 50 million (and 14 Grammy nominations) and has won countless awards, from a Grammy and an Emmy to numerous honors for her tireless activism through her True Colors Fund. 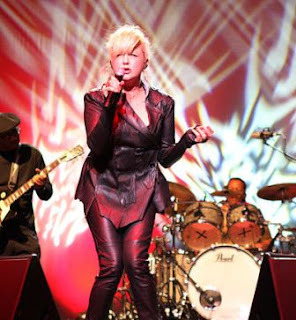 Lauper has released 11 studio albums, with her most recent, the Grammy nominated Memphis Blues, ruling the Billboard Blues chart for 14 consecutive weeks to become the best-selling Blues album of 2010. Overall, during her storied music career, Lauper has been nominated for 14 Grammy Awards, 2 American Music Awards, 7 American Video Awards and 18 MTV Awards.